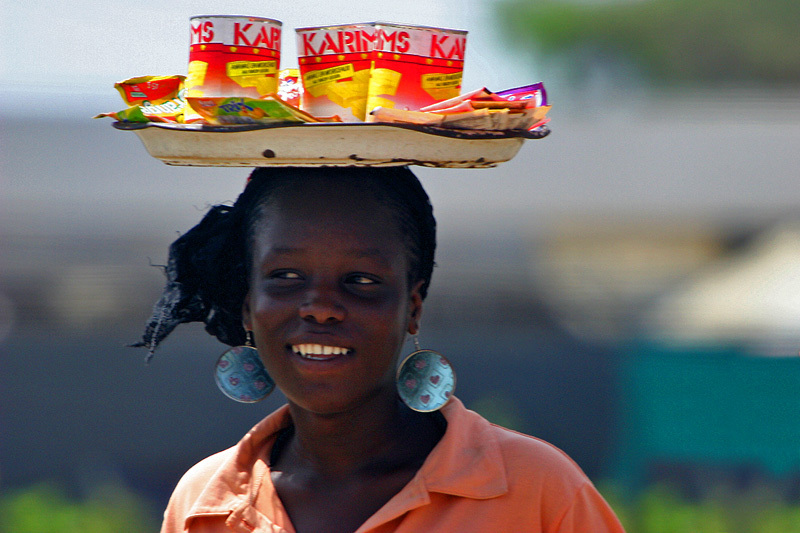 Both men and women are in the custom of carrying items atop their head, but more often women. Perhaps the daily tasks men perform are different in nature and more often require the use of carts and tools. This young woman is wearing a sports shirt. Older women tend to prefer traditional attire, setting aside shirts and pants when they are no longer flattering.